We now know that there are traces of methane on Mars, however, as discovered by Mars Express and the Curiosity rover. The source of this methane might be either hydrothermal activity (the movement of heated water), or microbial life. On Earth, flatulent cows alone produce some 25% to 30% of the methane in the atmosphere. Either of these possibilities challenges our current understanding of the red planet, but if the source is life that would obviously be an amazing discovery. The joint European and Russian ExoMars Trace Gas Orbiter is currently investigating the source of this methane. The NASA Mars Reconnaissance Orbiter also discovered seasonal features called “recurrent slope lineae” – streak-like patterns which may indicate briny water seeping to the surface. However there are alternative explanations. Some scientists suggest that these may also just be movements of sand. That said, rovers and landers have found substances including calcium and magnesium perchlorates near the suspected water seeps and at other locations on Mars – and these indicate the presence of brine. 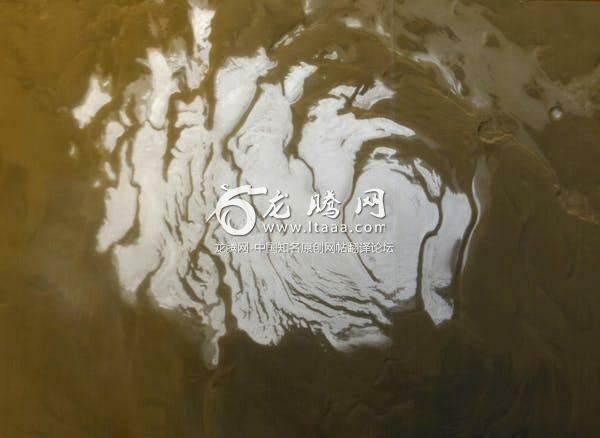 Most recently, the ESA Mars Express mission found radar evidence for liquid water underneath the south polar region on Mars – potentially a subsurface lake. This water, which also appears to be briny, would be a whopping 20km wide and be situated 1.5km under the surface. However, the NASA rovers are designed to drill only five centimetres under the surface. The rover that is part of the ESA-Russia ExoMars 2020 mission that we are working on will be able to drill up to two metres below it. This will get below where ultraviolet, cosmic and solar radiation can penetrate and harm life – providing our best hope of finding life on Mars of any planned mission. The ExoMars rover landing site will be decided in November from two current candidates – Mawrth Vallis and Oxia Planum, both of these were ancient water-rich environments. Although the current strategy is to search for signs of ancient life on Mars, current life should be detectable too if present. We will have to wait for the ExoMars results to see if signs of either past or present biomarkers are present, and in the longer term analyse the returned samples. While the rover won’t go to the lake or the water seeps, there is evidence for brines at other locations too, so there is a good possibility that they may be present at the ExoMars candidate sites. Another obstacle is the planetary protection rules, which state that you shouldn’t risk contaminating an area where there may be extra-terrestrial life with bacteria from Earth. However, the hope is that any Martian life would be hardy enough to populate other areas and that our missions, designed and built with strict planetary protection guidelines, will find it. What hypocrisy. How can you expect people to respect rules of not “contaminating” a planet where no human lives, while we remorselessly continue to destroy our own life support system! Great article on the whole and very exciting as the search to find life on Marks becomes more focused. But generally speaking cows are not flatulent. The bulk of the CH4 emissions from enteric digestion are from belching, not farting. Global enteric fermentation CH4 emissions (all livestock classes) are estimated to be around 27% but it’s important to recognise there is about a 30% uncertainty around this figure.